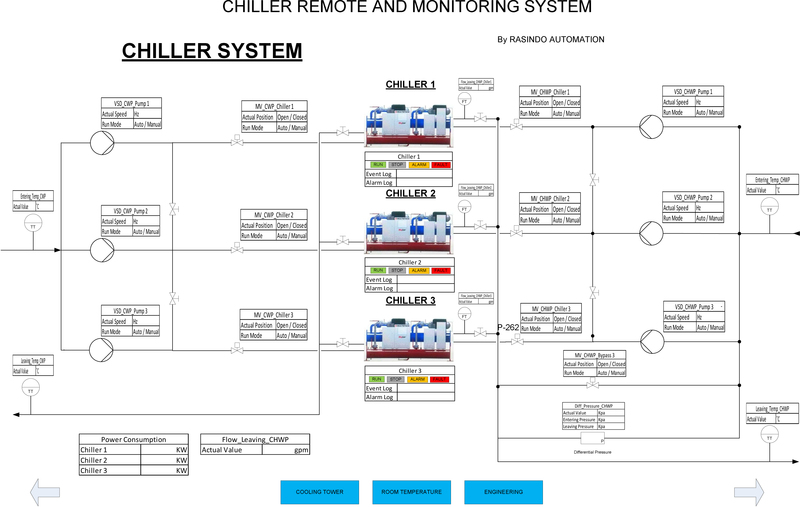 Chiller Remote and Monitoring System (CRMS) ? Chiller Remote and Monitoring System (CRMS) is an Easy Control System for User to Control and Monitoring Performance of Chiller to Optimized of Room Temperature as User Needs. If you are looking for a powerful data acquisition, process monitoring and control software then your search ends at BlackDiamond. You can build and deliver your own HMI / SCADA and reports. It generates the generate data and analysis reports that help process managers take informed and timely decisions.